Published October 28, 2016 by JJ Kravit. Filed under Affordable Care Act. Total of no comments in the discussion. How Do Medicare Advantage Plans and Medicaid Work Together? Published October 4, 2016 by JJ Kravit. Filed under Medicaid, Medicare Advantage. Total of 3 comments in the discussion. Health insurance can be confusing for many Wisconsin seniors and their families. Here are a few tips on what you should know before talking to a Milwaukee health insurance agent. Medicare Advantage, or Part C plans, aren’t provided by the government. They’re actually offered by private companies that have been approved by Medicare. As a result, the quotes and services you receive may vary. What does a quote for Part C cover? With this plan, Medicare pays your provider a fixed sum each month. This money goes towards the qualified health care services you use. Medicare Advantage plans and prescription drug plans are about to go into their Annual Open Enrollment Period (OEP). There are several reasons to review your Wisconsin 2016 plan with a licensed insurance agent each year. You might ask, “What is the most affordable health insurance Wisconsin citizens can get?” That’s what FHK is here to answer for you. We understand in these trying times that affordable health insurance that does what you need it to is increasingly difficult to come by. We pride ourselves on being experts in the field of health insurance, and also finding you the best value of your payments. Outlining what is most important to you in a health insurance plan is step one. 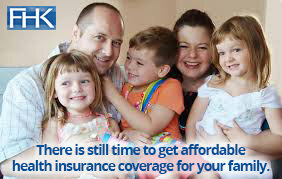 Knowing what you need and want is half the battle of finding affordable health insurance. Published August 16, 2016 by JJ Kravit. Filed under Affordable Care Act. Total of no comments in the discussion. FHK means experienced, personal service! Since the introduction of Obamacare Wisconsin citizens have been in search for affordable health insurance plans to accommodate the increased deductibles associated with the transition. Having someone knowledgeable on the topic is just the first step. Trusting that person to recommend the best insurance plan for your needs is the next. What Would Happen if Premium Tax Credits Went Away in Wisconsin? Published March 19, 2016 by JJ Kravit. Filed under Affordable Care Act, Taxes & Tax Credits. Total of no comments in the discussion. Just recently, the US Supreme Court voted to uphold Obamacare subsidies. What exactly does this mean? First, we need to define subsidies. Premium tax subsidies and advanced premium tax credits are both the same thing, and they refer to the income-based discount on Obamacare health insurance. This is the advanced discount to help pay your premium. For example, based on your income, your tax credit could be $150, which reduces your premium by that much every month. Has the deadline to sign up for Obamacare passed? No. For those of you that have yet to enroll in a plan, the deadline is fast approaching, February 15th, 2015. The 15th falls on a Sunday this year, and FHK will be open this weekend on both Saturday the 14th and Sunday the 15th during normal business hours, 8:00am until 5:00pm. If this upcoming deadline has you nervous at all, do not worry. The skilled agents at FHK are here to help. Published October 12, 2015 by JJ Kravit. Filed under Affordable Care Act. Total of no comments in the discussion. There have been major changes to the Obamacare Marketplace this week. Anthem Blue Cross Blue Shield just announced that they are discontinuing major medical health insurance coverage for tens of thousands Wisconsin residents. This change will affect individuals currently on an Anthem Affordable Care Act plan (Obamacare) both on and off exchange. This news comes as quite a shock considering that just 2 years ago Anthem had a very competitive marketplace plan and was recognized as a strong insurance contender. Also making news is the announcement that Assurant Health will not be participating in the next open enrollment, set to begin November 1, 2015. What does this mean for Wisconsin residents? What is the Difference Between a Health Insurance Agent and a Navigator? Published May 12, 2015 by JJ Kravit. Filed under Affordable Care Act. Total of no comments in the discussion. “I wish I would have contacted you sooner!” We hear this statement often at our office. Many clients think you have to pay extra to work with an agent when choosing between Medicare insurance plans. This is simply not true. Let me explain. Can I Deduct My Health Insurance Premium? Published January 30, 2015 by JJ Kravit. Filed under Medicare, Medicare Advantage, Taxes & Tax Credits. Total of 2 comments in the discussion. Some individual taxpayers are able to claim an itemized deduction for their qualified medical expenses, including medical insurance plans premiums. In order to qualify, the qualified expenses must surpass 10% of an individual’s yearly-adjusted gross income. This percentage lowers to 7.5% if you or your spouse reached the age of 65 or older as of December 31st, 2014. In both situations, if you do not reach this percentage, you do not qualify for the deduction. It is essential to track and record every expense related to your healthcare in order to do so. While most insurance premiums are applicable, a few are not. Be sure to check with your accountant so there are no delays in your filing.